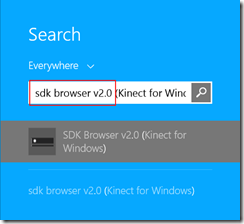 Here’s a quick guide to getting yourself set up for Kinect for Windows V2 development. It was put together specifically for the Kinect Hack for Windows London event but it’s generally applicable. This can be a PC or a Mac but it needs to meet the system requirements listed here. In short, that means a machine with USB 3.0 and a decent, 64-bit processor. The SDK runs on Windows 8.x so you’re going to need an installation of the OS. If you haven’t got one, you could grab the free trial from here – it lasts for 90-days and (I believe) can then be renewed for another 90-days. If you want to stay on Windows 7 and boot Windows 8 from a VHD installation on the hard-drive then check out the guide here. 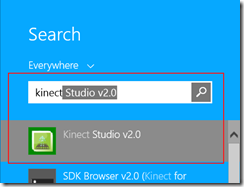 If you don’t have Visual Studio already, download the free edition from here. The SDK is downloadable from here. 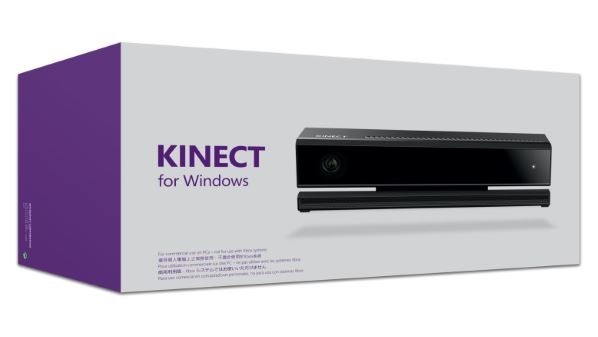 You might need a Kinect for Windows V2 Sensor but you can work without one if you have someone who can record data from a sensor for you and if you’re coming to the Kinect Hack for Windows London event then you can loan a sensor while you’re there. Remember that if you’ve already got a Kinect V2 sensor on an Xbox One then you can use an adapter to plug it into Windows. Go here for that adapter. If you want to buy a sensor go here and follow the links to purchase. 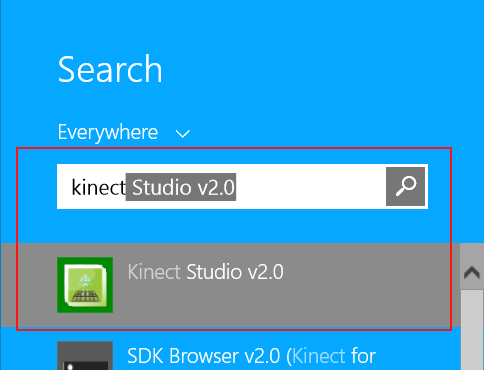 You’re probably going to want to use Kinect Studio to avoid always having to have a sensor available/plugged in to the machine. and you can see me using it in the little video above and read more about it here.